Mr. dr. Dory Reiling is senior rechter in Amsterdam. Daarnaast werkt ze in het KeI-programma aan de digitalisering van de civiele rechtspraak. Eerder was zij senior judicial reform specialist bij de Wereldbank, en programmamanager IT van de rechtspraak in Nederland. Ze treedt regelmatig op als spreker en als adviseur in binnen- en buitenland. 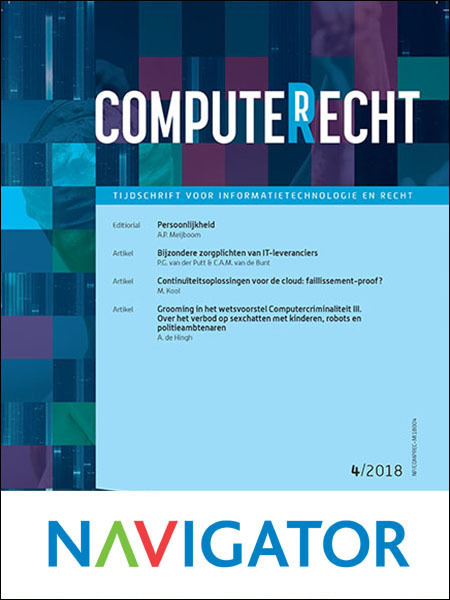 Ze promoveerde in 2009 op informatietechnologie in de rechtspraak. Zij tweet als @doryontour, en blogt op mr-online. Dory Reiling is a senior expert in information technology for courts. She has published extensively in the use of information technology to improve court performance: reducing disposition time, improving access, and safeguarding court integrity. Her publicly available publications are on http://home.hccnet.nl/a.d.reiling/html/publications.htm. Dory Reiling Ph.D. Mag.Iur. became a judge in 1986. At present, she is a senior judge at the Amsterdam District Court. Apart from her court work, she is involved in the program to digitalize court procedures in the courts in the Netherlands. She was a senior judicial reform specialist at the World Bank and IT program manager for the Netherlands judiciary. She regularly lectures on court IT at universities, judicial academies and postgraduate schools and works as an IT adviser to judiciaries around the world. She is also a co-author of the World Bank Handbook on Justice Sector Assessments. She was the acting expert for the Consultative Council of European Judges (Council of Europe) Opinion 14 on information technologies and the courts. Her 2009 book Technology for Justice, How Information Technology can Support Judicial Reform, is widely available in print, on line and as an e-book. Her publications can be found on www.doryreiling.com and her tweets are on www.twitter.com/doryontour. She regularly blogs on www.mr-online. Mr. Magazine, mr-online Alle vrij toegankelijke publicaties vanaf 2002 tot nu vindt u op doryreiling.com.